I don't see a thread for 2019 hs grads, and ds and dh just aren't that interested in chatting about it, lol! I helped ds get all his apps submitted in Aug so that he wouldn't have much to do when the school year started. So he's finished with the application process other than a few scholarship applications that haven't opened up yet. The highest ranked school he applied to was our state flagship, so there was nothing really complicated about the process. So far, he has been accepted to 3 of 8 schools!!! I was just thinking today about when he was 5 years old, and we decided to homeschool instead of sending ds to kindergarten. Dh and I had friends invite us over to specifically confront us about how he was ever going to get into college, lol! Anyway, I am super excited and hoping the merit money comes through for him. So far, he has received merit money at UT Dallas, which was his safety and is my alma mater. So how is the process going for you all so far? Where is your student in the process? Where is he/she applying? Any other thoughts? Hope he has 5 more positive outcomes! Thanks, 8FillTheHeart! I have read so many of your posts with advice for the application process, especially for kids who need merit aid. I have really appreciated all of the helpful info. I am praising God for the 3 acceptances ds has so far, and just praying the process continues to go smoothly. I feel more nervous now than I did before he got his applications in. It just seems like we're at the beginning of a new adventure, and I'm excited for him, but also really worried about messing something up! It feels great when that first acceptance comes in (that you can afford), doesn't it? My oldest completed one super easy app over the summer just to humor me. It was one of those emails that said "answer a few questions and send us your transcript once your junior year grades are on it." (They already had her ACT from a free score report send.) That was the first acceptance to come in and they gave her their top automatic merit award. It was never even on her list of schools (merely a last minute replacement by me on the ACT score send) plus their top automatic merit is only 1/2 tuition. However, she filled out another application that didn't require an essay because I was bugging her to get another one done before school started. She's in there, too, with great merit. It is one of her top two schools and a financial safety with the merit they've already given her. I'd like her to apply for their honors program - but because it requires a short essay, that will have to wait until she gets the essay done for the Common App. So, I'm working on my part of the Common App. She's working on her essay. She just sent out requests for recommendations, so those will likely come in last. I'm hoping to have my stuff done for the CA by the time she gets her essay done. I'm still tweaking things here & there... One of those schools also has an honors program, but I'm not sure if she'll do that application or not. It is #3 on her list. She has only visited 1 of the 3 schools she's applying to. (I don't count the school in the first paragraph or the school she's doing DE at - which she also applied to.) We're going to do those visits next semester when her schedule is less hectic. It has been an amazing ride watching this kid grow up and be so enthusiastic about her classes. I didn't honestly think there would be a time that I wouldn't have to nag her to get her homework done. I'm just so proud of her! How awesome that she's already in with merit at her 2nd choice! It sure does take the pressure off. So she has 2 applications left to submit? It IS neat to look back and see how much ds has changed/is changing. We were really butting heads here a few weeks ago, but I do see him maturing. He is doing DE for the first time this semester and is really staying on top of things so far. I have DS applying this year. Unlike his sisters, he hasn't been home-schooled, so he has to work with his school. School is not in the US though and support for US apps is somewhat patchy. I made him spend the last two weeks of summer vacation working on the apps (he was away the rest of the summer), and now he's happy he did that because he has no time for anything other than school. The tricky part is doing arts supplements for instrument and voice -- his voice teacher isn't taking it seriously as far as we can tell and is out of the country most of the fall. I'm worried, DS isn't. Argh. I also have a student in a developing country whom I'm advising through a volunteer program (I'm nearly done with a certificate in college advising, so not quite so random as it might seem). This will be enjoyable, but challenging, as he wants to go to (insert supposedly top Ivy) but hasn't yet shared with me enough info to have this discussion. No essays yet and no SAT score either! On the positive side, I've really enjoyed talking through essays with DS and reading what he's come up with. It's been fun to go through all of his interests and talk about what they've meant to him and look at the common themes. One activity that I pushed him into (not for college, but for other reasons) has, he told me, turned out to be a much more influential experience than he would have expected four years ago, and he's so glad he stuck with it. It is really quite a ride! Once ds is done, I won’t have to do it again for 2 years. But that child has higher ambitions so it may be even more stressful next time! I also enjoyed reading ds’ essays - seeing what he chose as a subject and how he framed his life and experiences so far. I can see how it could be more difficult going through a school than doing it on your own as a homeschooler. You don’t have to make transcripts so that part is easier, but I can see how it would be difficult waiting on school officials to do their part. Pronghorn, that sounds like a lot of work! When does she need to have everything in? What are the chances for acceptance at music school? Is it highly competitive? @Pronghorn I didn't realize there was so much involved! Best of luck to you and your daughter! May the payoff be well worth the extra work! @Woodland Mist Academy How many schools is your dd applying to? All of my ds’ were very easy. 6 of the 8 schools used the Apply Texas app. Not sure yet. More than 1, less than 10. Probably. Depends on when you ask. ? Can I say that I am wildly envious of those who already have acceptances? My ds hasn't finalized his list yet, hasn't decided if he's applying early anywhere, and I don't think he has started his common app essay. Luckily he has to write his essay for his English class, so I know he's starting on it soon. He's trying to figure out if he is doing an arts supplement (it would be music in his case), and if so, what is he doing. On the plus side, we are still talking. And he's got two college visits with interviews next week and one the following week. So hopefully he'll start to figure things out. Keeping our relationship intact through this process is really important to me, but I also don't want to let him slack off and miss things. I watch clips of Lady Bird from time to time to help keep it all in perspective... That's probably the most quoted movie in our home right now. ? 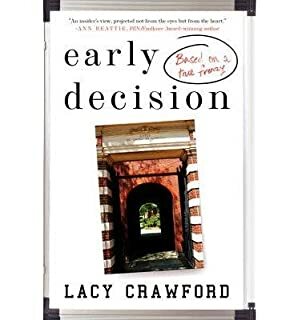 Early Decision: Based on a True Frenzy also helps me remember what matters most. OP congrats to your son, especially for the Merit Aid. That's hard to get. DD and I will fill out the FAFSA for the 2019 - 2020 school year on 01 October and hopefully be able to submit it that day, if we have all of the data we need to complete it. DD got the National Hispanic Scholar, so hopefully she will be eligible for Merit Aid, in addition to Need based aid, in some of the universities she applies to. Good luck to all of the Class of 2019! That is smart @JeanM. Ds and I have butted heads recently, which isn’t typical for us. I think *some* of it might have been a little stress about getting applications in. We’re both glad it’s done and acceptances are coming in, but I wish I would have been mindful of not making him feel rushed or stressed. @Lanny Congrats on the National Hispanic Scholar recognition! That should definitely bring in some scholarship dollars! 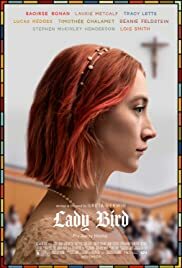 I haven't seen Lady Bird, so I'm going to watch it soon. Thanks! If anyone else is interested, it looks like it is free through Amazon prime, but is not available at netflix. I've requested the book from my library. Honestly, I'm very stressed about this whole process. I thought having been through it once would make it easier, but it's oddly harder. And huge congratulations to those getting merit aid!! Both of my older kids were into late March - April before they heard from their school and the Navy ROTC scholarship program final assignment. It's a long process. Music school admissions are competitive and unpredictable. It is not like having high academic stats where you can see objectively where your child stands. And I don't know what the percentages are. For financial reasons we are going for university music programs rather than stand alone conservatories. The universities are mostly not extremely competitive but the music departments may be. Many of our schools need the complete application in late October to early December. Once my daughter gets her songs recorded, we may be able to file applications pretty quickly. Most of the auditions and interviews are in late January to early March. We are a few years out, but here is what I did to keep the relationship good between ds and me during application season. I insisted he sit down with me once a week (we did Sunday afternoons) for 30 minutes to an hour to talk about college apps, make a to-do list for the upcoming week, etc. This was to make sure his pacing was good. He applied to eleven schools. Many had significant supplements. He also had to prepare a music supplement. There were a lot of balls in the air. I wanted to make sure he didn’t drop any of them. But, I also promised ds that as long as he would meet with me once a week and work diligently during the week that I would not ask him anything about college apps during the week. He was free to bring it up if he wanted to discuss it, but I would not initiate any conversation on that topic. It’s really hard, but now is the time to start becoming more hands-off. Let your dc OWN this process. The only exception to this is anything that has to do with MONEY. I made sure we were tracking any and all deadlines related to scholarships. There is just too much at stake to trust your kid with potentially hundreds of thousands of dollars. I have told this tale before, but ds had a friend who was qualified for a state scholarship provided by our department of higher education. He absolutely would have received it, but he missed the February 1 deadline for applying. Opportunity cost? $10,000 per year. Parents need to manage the money side. I feel sorry for seniors. All anyone ever asks them is about where they are going to college. So, I also didn't ask ds’s friends about their college apps either. I asked them about other things. Things relative to their final year of high school. It’s a special time. Yes, we all like to look to the future, but it’s important to enjoy the here and now as well. Best to all as you navigate this journey! Again - free. Worth what you pay for it. ? Congratulations, @JazzyMom! I hope your son has a great senior year and enjoys the transition to college next year. Good luck to your dd! What we find frustrating is that if there's too many musicians in a particular category applying, that affects the admit rate but there's no way to predict that in advance. DS also decided to go for university music programs rather than stand-alone conservatories, but he also wants a strong history/poli sci program. The schools he likes academically are not the schools he likes musically, argh. He may go for academics now, as long as he can find a good voice teacher and has performance opportunities. @Hoggirl That is good advice. I am so excited/nervous that it is tempting to want to talk about it all the time. He has 4-5 of scholarship apps that I’m watching opening dates/due dates on. I can limit myself to giving info/reminders about those once per week. I’ll also have to help him with the FAFSA. From what I understand, there won’t be much else to do until spring when he has the final numbers re: COA and gets to make a decision, sign up for housing, etc. Is it important to go to events for accepted students if you have not decided to go to the school yet? Ds has been invited to local events (a distinguished student luncheon and an all day campus tour) at 2 of the schools he’s been accepted to. Good luck, Pronghorn! I'm a bit relieved that my ds has decided not to apply to conservatory programs. It sounds very difficult. I like the idea of a regular appointment/to-do list. I'm going to talk to ds this weekend about trying this. I have been STUDYING about how to fill out the FAFSA! I read a Tutorial and I watched 2 or 3 Videos on YouTube. You would be surprised at how many things I noticed, that I mentioned to DD in WhatsApp messages. Hopefully, on 1 October 2018, when we are doing the FAFSA, we will remember all of those things! I have a DD applying this year. She is slowly but steadily working through the process. She is also in the process of legally changing her name. She renamed herself at 18 months and has never looked back. Finally this summer DH proposed a legal change and she was all for it. I think that she will pick up the pace once the name change is final and she can officially apply with her chosen name. DD is applying to 12 schools - 1 auto, 2 matches, and 9 reaches. Luckily the deadlines are spread out with the first group December 1. What I have noticed is that more schools are recommending interviews than two years ago when we last went through this. DD is handling this well but it does mean that there is another to squeeze in this fall. Best of luck to all on the application journey this year. @Arch at Home Wow, 9 reaches! Good for her!!! Ds only had 2 reaches on his list, and those apps were more work than the others. I’m not sure those schools will be affordable if he gets in, but we’ll see. He also applied to 1 safety and 5 matches. We're in a very odd position of applying for admission. DS#1 earned his AAS at the community college in 2014, his BA at an in-state/out-of-city smaller liberal arts college in 2016, and returned to the community college in 2017 to start work on credits for transfer for a BS in Mechanical Engineering. Now he is in his last semester at the community college, and is applying to the local (in town) state university for admission for this spring semester as a transfer student. It is simultaneously a more simple and more critical application process this time around. More simple, because he will walk in having already knocked out close to half of the degree already and has a boatload of experience in how to succeed at college. And also, since he already has a Bachelor degree, he doesn't have to send any test scores, and he is not eligible for any financial aid in the form of transfer scholarships or Pell grant money (so he doesn't have to spend time on financial paperwork). (But, boo-hoo, no $$ except the possibility of a departmental scholarship once he gets in.) However, the process is also more critical, as he *has* to jump the hoops and get everything processed in time to be able to sign up when class registration opens up around Nov. 1st. Edited September 25, 2018 by Lori D.
I'm hoping DD will finish the last little supplement for the CA this weekend so we can both hit submit. Then, I can bug her about getting an honors application done. Declared major department at DD's already-in-favorite (top two) sent her a personal note last week. She also got a hand-written note from someone at the college she does DE at congratulating her on a recent honor. (It wasn't in the paper, so they must have really been on the ball.) Those were both high points. Back to the slog this week. DS had three college interviews in the last 4 days. Unfortunately he wasn't that crazy about the colleges that he visited. So we're back to refining his list again. One more visit/interview scheduled for next week. In better news, I'm making progress on the documents I need to finish: his transcript, counselor letter, school profile, and course descriptions. The only one that I haven't touched at all is the course descriptions. I don't think I'll have to do that much though because the vast majority of his courses are the same as my older ds. I really should get going on that this week. @Lori D. Is he applying for Spring 2019? That’s nice! She must be doing very well at her community college. DS is doing DE for the first time this semester. He turned in his first paper last week and has to rewrite it, which I think is a good lesson for him. And he had his first test today. He thinks he did, “Fine.” Lol! It’s good you can reuse some of the items you used before. DS is doing 2 college visits over the next few weeks to schools he has been admitted to, but hasn’t seen. He hasn’t done any interviews yet. I think it’s great that your ds at least knows what he doesn’t want. Hopefully he can come up with a list of schools he’s really excited about. Yes. Because the school has rolling admissions, the admissions website page says he should hear back 2-4 weeks after applying, which he did 2.5 weeks ago. The deadline for Spring 2019 admission is Nov. 1st, so we still have a bit of time before mom hits full-blown panic mode, lol. D has submitted all of her apps and was very excited to receive a likely letter from one of her top choices. It is great feeling for both of us to be finished with our parts of the applications. Now we just wait and see how things look come spring, and in the meantime, get to enjoy our last few months of homeschooling. While I have loved homeschooling my kids, I have not enjoyed this guidance counselor gig and am happy that I won't be going through it again. D has submitted all of her apps and was very excited to receive a likely letter from one of her top choices. It is great feeling for both of us to be finished with our parts of the applications. Congrats! That's one of those letters where they are basically saying, "We can't say anything official yet, but if you first semester grades look good, you're in." Right? Sounds pretty awesome. And I agree. I will happily take off the guidance counselor hat once all is said and done. Glad I don’t have to do it again for a few years. I really hope it is easier the next time around. Cograts Jazzy Mom!! Congrats RootANN! My son finished his most of stuff in August as well and it's been a huge weight off of his shoulders. But, then we decided to add a few more and I have to say man I am glad he and I both finished the majority of it in August. He has some reach schools, some schools he looks very good for and one semi safety and one safety ? The only one we will hear early from is UC Davis all the others send out their acceptances in March or even April ? Yeah, it said if she stays on the same academic path, they will be offering her admissions to their freshman class. We did a bunch of college visits in the spring. Dd really liked two schools. She applied to both and has been accepted to both and has been offered some merit aid for one of the schools. Now, she just has to choose. It will most likely come down to the full aid/merit aid packages. How are these schools sending non early admit acceptances already? They must be rolling admissions schools. My daughter has one of those on her list, and she'll be sending in her application some time this week. Based on my experience with this school with my older children, she should hear back within 2-3 weeks. @Calming Tea, yes, they are rolling admissions schools. Ds has 5 acceptances now, including Texas A&M! He has 1 more rolling admissions school to hear from, and we won’t hear from the 2 reaches until after the first of the year. He’s not counting on getting into the reaches so I don’t think it will be a stressful wait. The big thing for us is waiting on the financial aid packages. I agree with you about getting it all done in Aug. I’m so glad we did as he is dragging his feet on the few scholarship applications he has left to complete. Is UC Davis your ds’ safety or one of his favorites? Either way, you’ll probably feel a lot relief once you hear back and get that first acceptance under your belt! I have heard that for smaller and more selective schools it is tracked whether students attend events and show interest. For larger schools it is too difficult to track. The school my D received a likely letter from is not a rolling admissions school. Some schools send out likely letters (also known as early writes) before official admission results are released. The school that sent my D a likely letter will not release official results until March.